If you want door installation Bel Air, Maryland expertise, look no further than King Door and Lock Maryland and DC. We offer comprehensive door assistance. Is the front door of your property worn out and in severe need of replacement? Is your garage door in such bad condition that one can seldom get it open nowadays? For those who own a small business, are the exterior doors to your facility conveying the specified appearance and do they continue to maintain the efficiency that you require? It doesn’t matter what style of door you’ll need, King Door and Lock offers 24 hour Harford County, MD door installation expertise. We also understand, being a business ourselves, that you’re regularly keeping an eye on your bottom line. At King Door and Lock, we believe that our costs for door replacement, installation, and/or repair services are definitely the most fair for the quality service we offer in DC and Maryland. If you find a cheaper business for the job, chances are they will be lower in quality as well. You will value our up-front prices combined with our fast, helpful service, so you’ll know your door expectations will be taken care of quickly and there will not be any hidden fees on the bill. 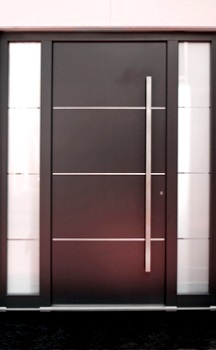 Commercial door replacement and repair differs from residential door replacement and repair. Our professionals are skilled in both kinds of services. Your building might have multiple entry doors that must operate flawlessly next to each other when a consumer arrives and exits. These types of doors will almost certainly contain significantly more sophisticated incorporated locking systems in comparison to the regular door knob together with a key hole located in the majority of residences. You will definitely prefer our highly skilled experts handling your storefront door. Remodeling your household in the Bel Air region and adding on a garage? Let King Door and Lock Maryland and DC handle your garage door installation. It is crucial that a garage door be dealt with by experts. Your garage is the ‘home’ for your car and various additional possessions that most of us keep in there: lawn mowers, leaf blowers, bicycles, and so on. It is crucial that your garage doors continue to be safe and operational. You want the task done correctly by our highly skilled techs utilizing their advanced equipment and tools that enable them to deal with any job of this nature. For those who already have a garage door ,however it just isn’t functioning properly, phone King Door and Lock for quality garage door repair in MD and Washington DC. For the very same explanations listed above, you need to make certain that garage door repair is completed correctly the first time to secure the valuable items you keep inside. Our skilled professionals will have a look at your garage door and inform you if it requires to be replaced or if it can simply be repaired. We’ll explain to you what it is going to cost up-front so there won’t be any surprises when you receive the statement. King Door and Lock does a great job not only with non-commercial garage doors but we also repairs and installs commercial garage doors. Use our full door expertise to ensure that our company will help your company to prosper. Our fast and friendly techs can get to your to your promptly to tell you how much repair or installation will cost. We will subsequently take care of the task effectively and with courtesy so that you can focus on your own business. 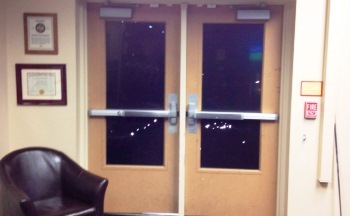 The team at King Door and Lock stands out in installing and repairing a myriad of non-commercial doors. Are you in need of a new screen door? If you do, call our team to find out precisely what screen door solutions you may need. We offer honest pricing to ensure no surprise charges. Entrance doors make known the personality of your property and also disclose a picture of the people living there. An entry door installation with King Door and Lock gives off skillfulness, high caliber, and professionalism to any person who walks through it. We’re honest in relation to our entry door replacement and repair rates. You’ll have confidence with the work that we carry out when installing any of your doors. We’re able to also take care of that back door leading out to the backyard or deck, regardless if it’s a regular hinged door or a sliding glass door. Depending upon the situation of the sliding glass door or patio door, we can easily either repair it or replace it entirely. Our very skilled door specialists deliver only the most professional door repair and door installation Bel Air, Maryland assistance. The workers at King Door and Lock Maryland and DC are the door professionals. For door installation Bel Air, Harford County assistance, call us. We deliver complete door services: door repair, door replacement, door installation. Our 24/7/365 door assistance covers household doors, industrial doors, and garage doors. King Door and Lock services not only exterior doors, but in addition, does really well at interior door repair and replacement for houses or companies. This can include pocket doors, hinged doors, and sliding glass doors. To begin with, our experts will ascertain the kind of work that needs to be carried out. Maybe you won’t have to have a completely new door. It might be a matter of a door jamb repair or even a door hinge repair. In case the frame of the door is faulty, then perhaps a door frame repair is all that’ll be required. Our experts will size up the issue, determine what actually has to be completed, and then give you up-front rates so you have the details you need to make an informed decision. For anyone who is in Bel Air and also the surrounding area, give us a call right now. We’re here for you 24 hours a day, 7 days a week! Our Door Installation Bel Air Services in Maryland https://kingdoorandlock.com/maryland-door-installation/harford-county/bel-air/ 4.0/5 based upon 26 reviews.